You have periwinkles, we have -20! We have +9 today, but it has been as high as +12. It has definitely been too warm to wear my polo neck sweaters. But it’s fairly miserable weather, despite the warmth. 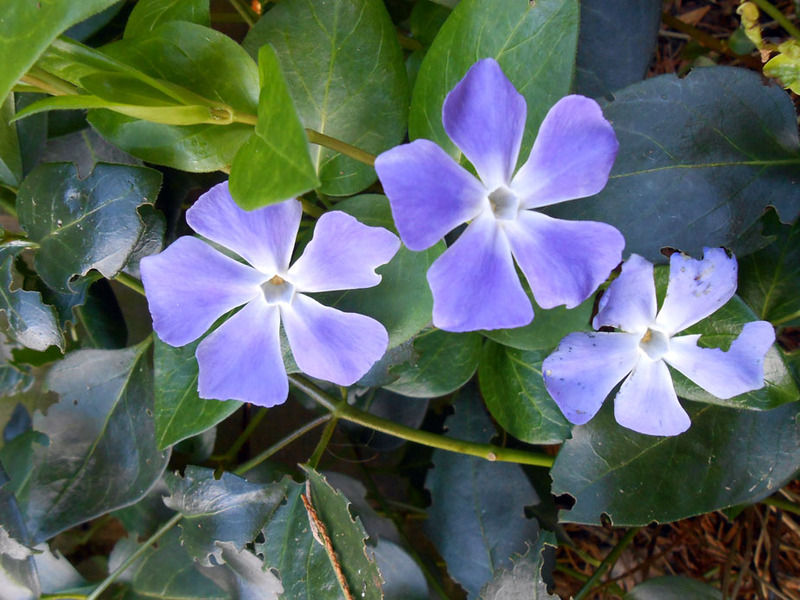 Strong southwesterly winds and rain mostly, and no sign of an azure sky to match the periwinkles. Maybe a big freeze will come but, if that happens, I will extremely concerned for any animals tricked out of hibernation by this warmth. Hi Sarah, Happy New Year to you! Beautiful words and picture Sarah, there have been lots of unexpected sights here in the last month or so – drizzly today though there were daisies about. Hi Andrea, Happy New Year to you, too! How wonderful to hear from you after your long break from blogging. I’ve not seen any daisies here, apart from those of the marguerite variety that haven’t stopped blooming in their pot since August! Our lawn is more mud than grass and not a good place for self-respecting daisies to show their faces. Thank you, Sylvia. I thought to focus on something bright on a wet and windy Monday morning! thank you. there are a lot of these in Ecuador and I did not know their name. They’re probably called something completely different there! I saw a teenage seagull the other day being taught to fly by his parents, which presumably means that things were out of sync late last year re egg laying & hatching.